The researchers showed the short video to 100 hairdressers in the Los Angeles area and measured their knowledge of melanoma screening before and after. 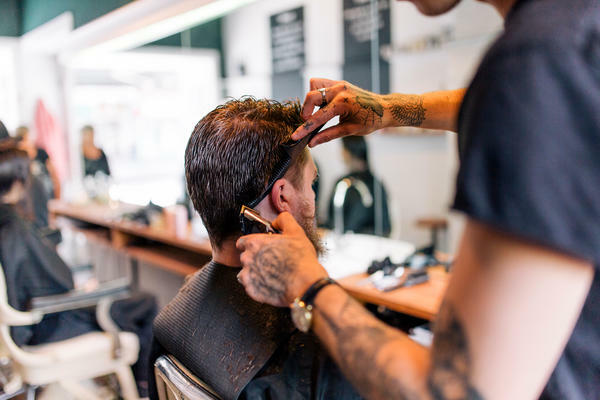 After watching, the number of hairdressers reporting they were "very confident" in their ability to point out possible melanoma lesions increased more than two-fold and their measured knowledge of melanoma and its risks increased. Dr. Neda Black, a dermatologist in Pasadena, Calif., and first author of the research, says that scalp and neck melanoma is often hidden by hair. Just last year though, she saw three patients with melanoma who had come after their hairdresser found evidence of the disease. "Hairdressers make daily observations of the scalp and neck, and can act as educators," she said in an email, "I saw this as an excellent educational opportunity to promote public health." Bonnie Sedlmayr-Emerson, a 63-year-old resident of Tucson, understands the importance. In December 2004, her hairdresser found a salmon-colored spot on the top of her head and suggested she see a dermatologist. She was eventually diagnosed with melanoma that had spread to the lymph nodes. Although it was not an easy path and she will always have stage four cancer, she says she's doing well now with no evidence of disease. She calls her hairdresser, who she still sees, her lifesaver. Moving forward, the study's authors note that it's necessary to do further research to see if these gains in knowledge last over time. "It's not going to be a one and done type of thing," Day says. "We have to keep reminding them and continue education to help them recognize and have an eye out both for seeing a spot and telling the client so they can tell their dermatologist." David Black, the letter's co-author and assistant professor of preventive medicine at the University of Southern California, said in an email, "Next steps include further disseminating the video and related scalp and neck melanoma detection videos among hairdressers. Future research should see if the educational video approach can be applied to other professions such as massage therapy."